Following match reports and additional evidence generated by the Anti-Discrimination Monitoring System, FIFA opened disciplinary proceedings against the associations of Chile, Paraguay, Peru, Mexico, El Salvador, Honduras and Croatia. Chile was sanctioned with a ban on playing at the Estadio Nacional Julio Martínez Prádanos in Santiago for two official matches and fined CHF 30,000. The first suspension will be served at the next match of the 2018 FIFA World Cup™ qualifiers between Chile and Bolivia, whereas the implementation of the second is suspended subject to a probation period of two years in application of art. 33 of the FIFA Disciplinary Code (FDC). The proceedings relate to homophobic chants by the team’s fans and follow previous sanctions for similar incidents during the preliminary competition of the 2018 FIFA World Cup™. Moreover, Mexico was fined a total of CHF 35,000 for two cases while Honduras was fined CHF 40,000, El Salvador CHF 35,000, Paraguay CHF 20,000 and Peru CHF 15,000 for individual cases related to various incidents involving discriminatory and unsporting conduct by fans, including homophobic chants in some instances. In addition, Croatia was sanctioned to play its next two matches of the 2018 FIFA World Cup™ qualifiers – against Turkey on 5 September and Iceland on 12 November 2016 – without spectators and fined a total of CHF 150,000 for two cases of discriminatory chants by fans, which occurred at the friendly matches of Croatia v. Israel on 23 March 2016 and Hungary v. Croatia on 26 March 2016. The Croatian FA had already been sanctioned for similar incidents by FIFA and UEFA. The Disciplinary Committee took the decisions after analysing all of the specific circumstances of each case, in particular, the position adopted by the association (if applicable) as well as the anti-discrimination match observer’s report and the relevant evidence available. The committee has absolute discretion regarding the evaluation of proof (cf. art. 97 par. 1 of the FDC). The concerned parties have been notified of the decisions. 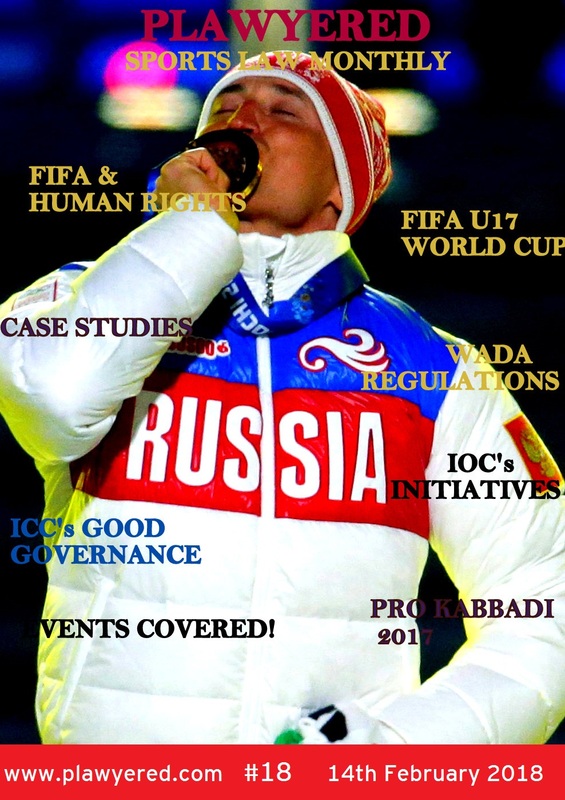 Besides the monitoring and sanctions of potential incidents, FIFA has put in place a comprehensive strategy to tackle discrimination, which includes the FIFA Good Practice Guide on Diversity and Anti-Discrimination, training, awareness-raising and the support of member associations in developing robust educational and preventive measures.